One of our top picks in Saint Peter.Located in Saint Peter, Battaleys Mews provides accommodations with a private pool. The villa has sea views and is 20 miles from Silver Sands. Leading onto a terrace with garden views, the air-conditioned villa consists of 3 bedrooms and a fully equipped kitchen. 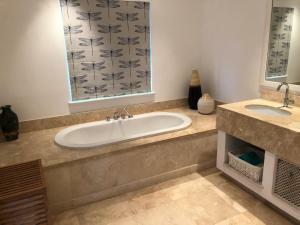 The villa also offers a seating area and a bathroom with a hot tub. Speaking German and English at the reception, staff will be happy to provide guests with practical advice on the area. 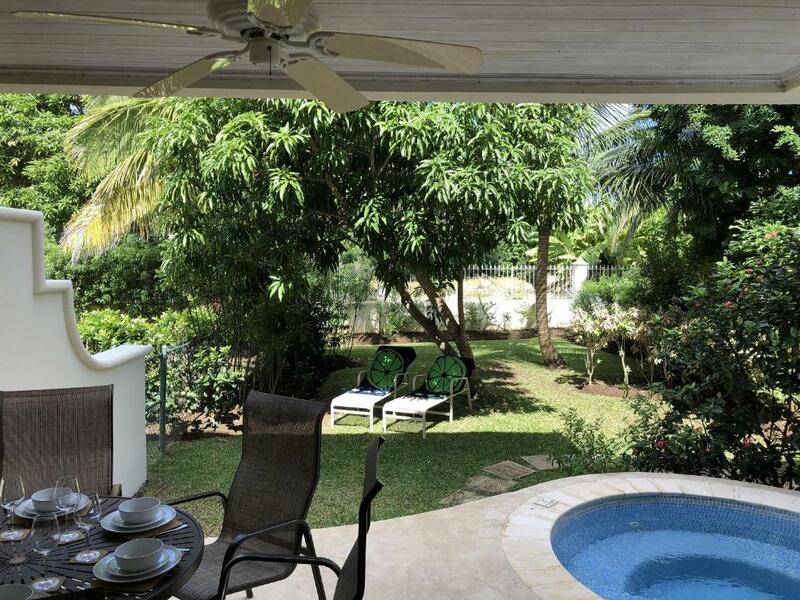 The villa offers a range of wellness facilities including a hot tub and a fitness center. 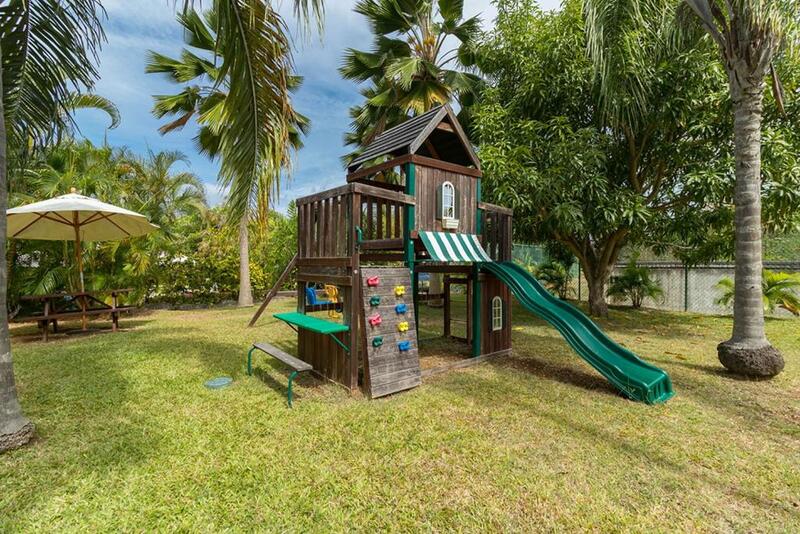 Guests can enjoy the outdoor swimming pool and garden at Battaleys Mews. 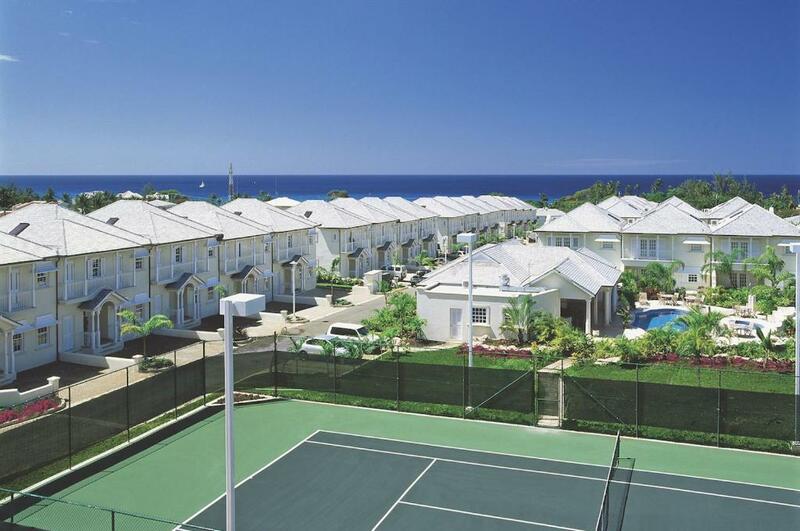 Bridgetown is 10 miles from the accommodation, while Long Bay is 22 miles away. When would you like to stay at Battaleys Mews? Welcome to Battaleys Mews, we aim to make your visit as perfect as humanly possible. 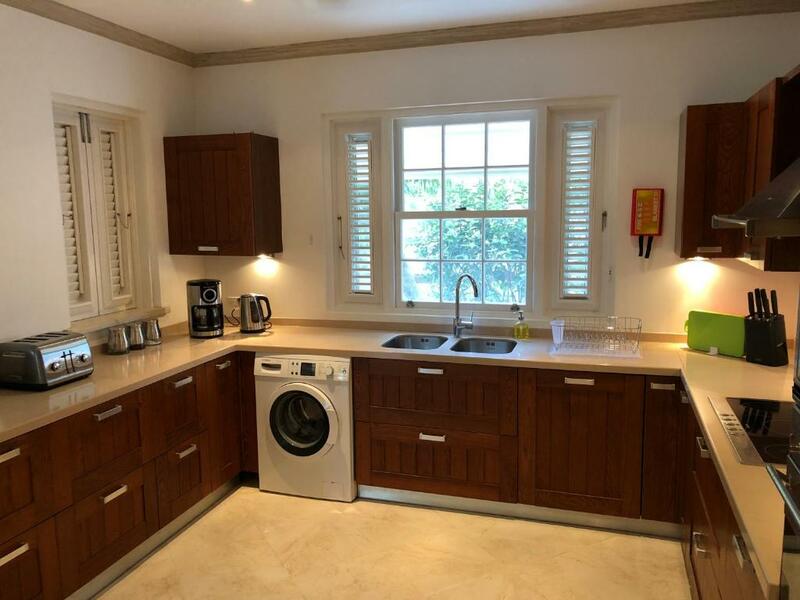 The Property received a full refurshiment for 2019 with new furniture, decorations and appliances. Battaleys Mews is a secluded community of 30 properties fully surrounded with a gated entrance and security and admin staff on site 24x7 for your security. Mullins Beach is just about 350m away, as is the nearest convenience store and several restaurants. House Rules Battaleys Mews takes special requests – add in the next step! Battaleys Mews accepts these cards and reserves the right to temporarily hold an amount prior to arrival. Please inform Battaleys Mews of your expected arrival time in advance. You can use the Special Requests box when booking, or contact the property directly using the contact details in your confirmation. We need at least 5 reviews before we can calculate a review score. If you book and review your stay, you can help Battaleys Mews meet this goal.